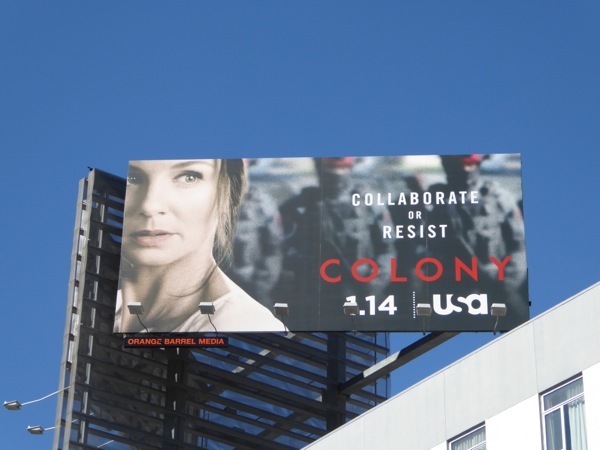 If you're going to launch a new sci-fi series on TV, it doesn't hurt if you have some familiar faces from the genre, whether it be Sarah Wayne Callies from The Walking Dead or Josh Holloway from Lost. 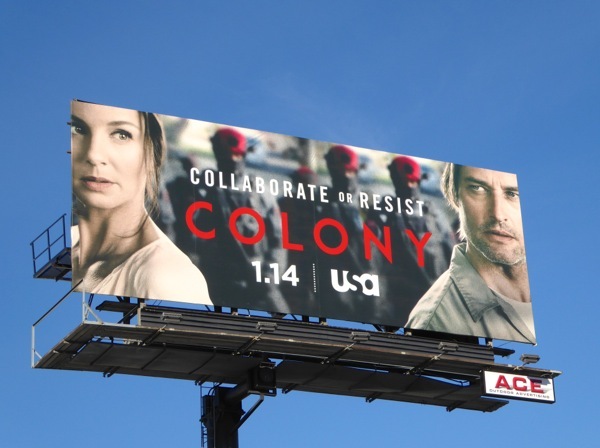 USA Network's Colony see the pair heading up a family living in a walled city of Los Angeles in the near future, which has been occupied by outside invaders. 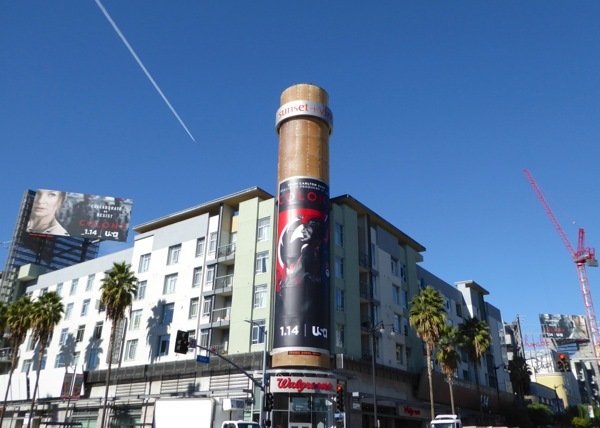 Some people have chosen to collaborate and benefit from the new world order and others chose to rebel and suffer the consequences. 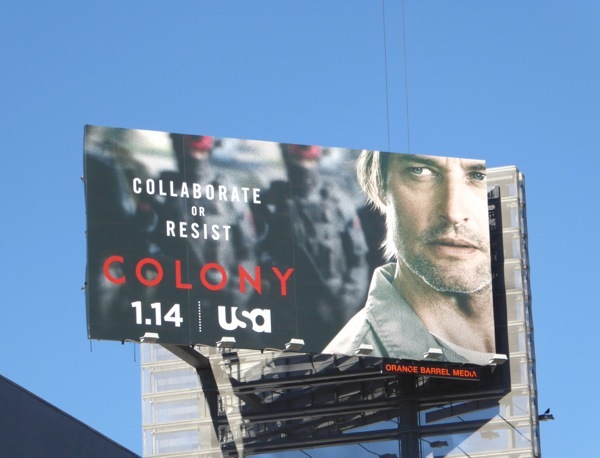 When this invasion event happened their family was separated from their twelve year-old-son, and whilst trying to reach him Holloway's 'Will Bowman' is captured during an explosion caused by the resistance. When he's offered the choice to infiltrate the rebels to save his life and keep his family safe, he and his wife have some difficult decisions to make in order to survive. 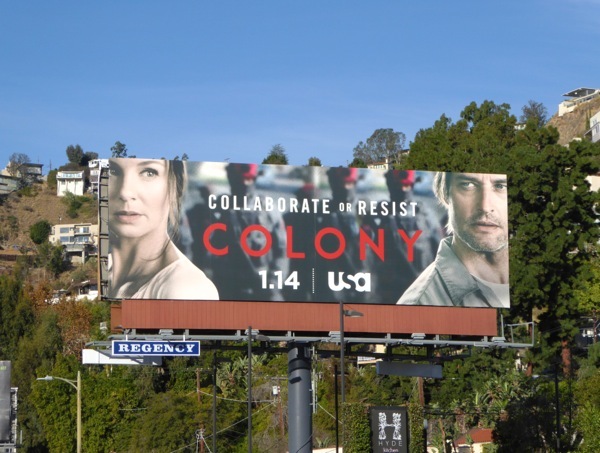 The new mystery thriller is also co-created by Ryan Condal and Carlton Cuse, the latter known for show's like Lost, The Strain, The Returned and Bates Motel, so some fine genre credentials. 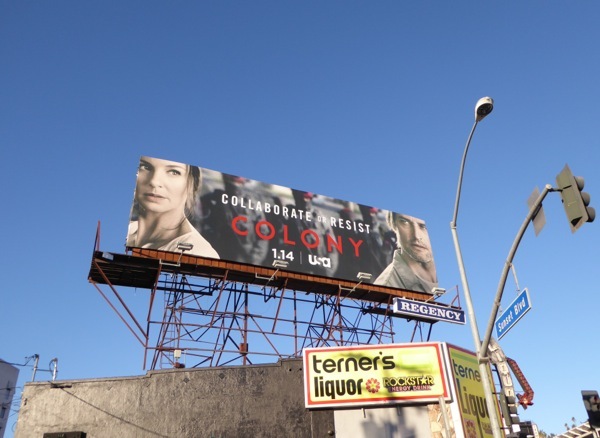 These billboards for Colony were snapped in multiple locations along Sunset Boulevard and above Sunset & Vine from December 15 to December 18, 2015. 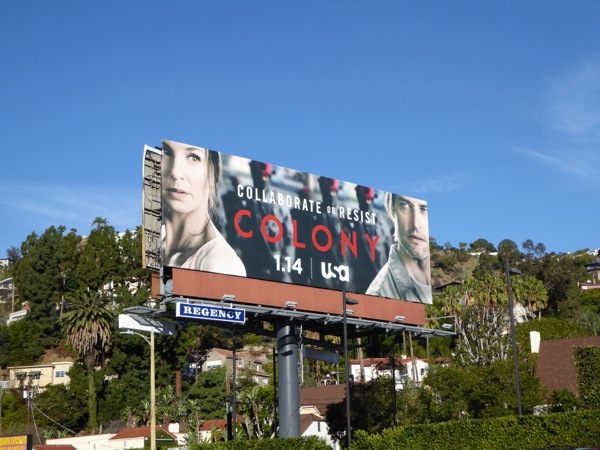 If you're a fan of Sarah Wayne Callies, check out these movie billboards for Into the Storm and if you're an admirer of Josh Holloway, be sure to take a look at his short-lived Intelligence CBS series billboard. 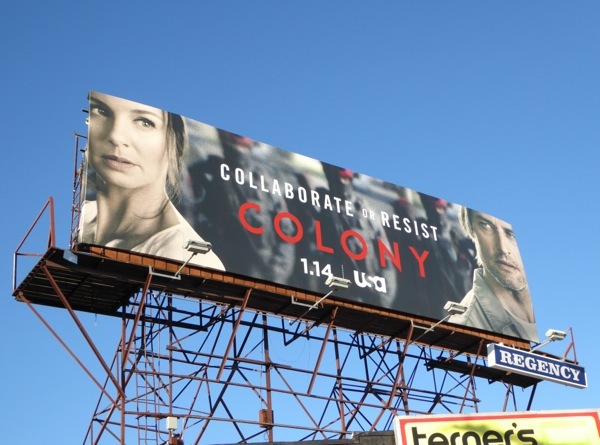 Now, do you think they'll collaborate or resist? And what would be more fun to watch?